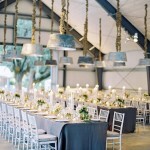 When it comes to elegant and classic wedding inspiration, I don’t think it gets any more elegant than a ballerina inspired big day. 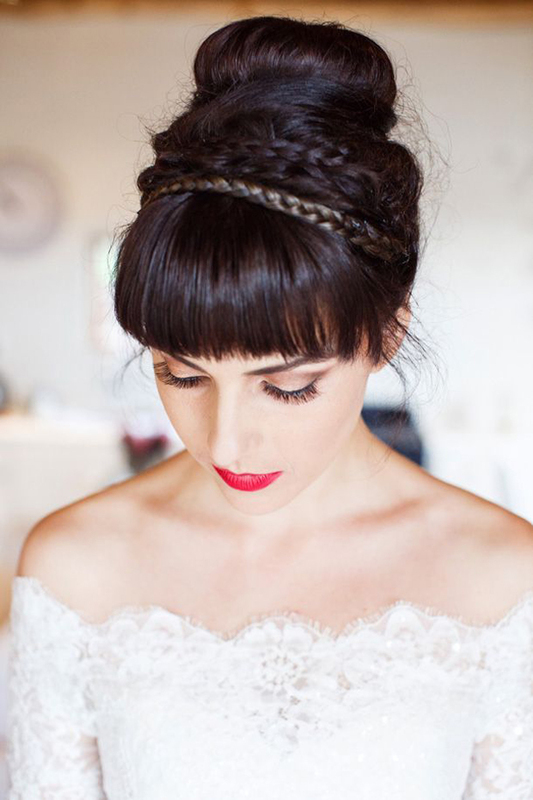 Even if you didn’t grow up taking ballet lessons I still think this chic and romantic look could suit almost any bride. 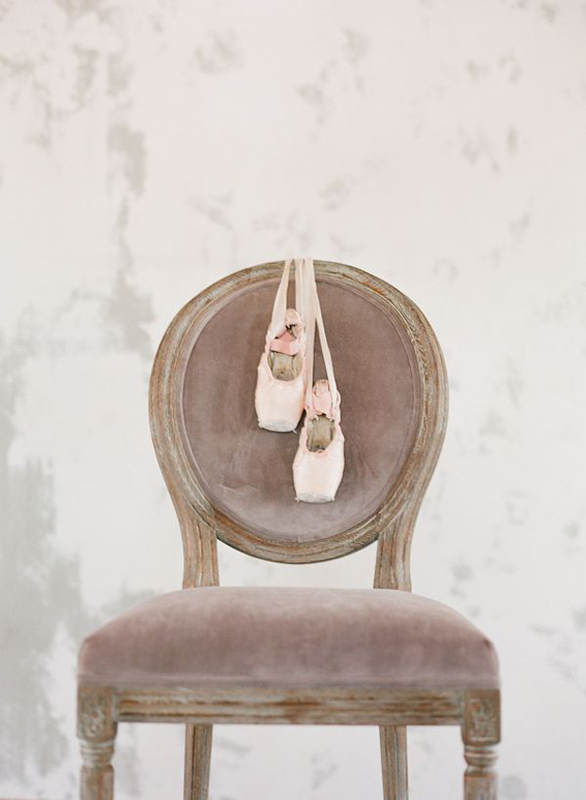 To pull off a bit of ballerina chic, think classic and elegant detailing… you don’t necessarily need to use an all pink palette either. 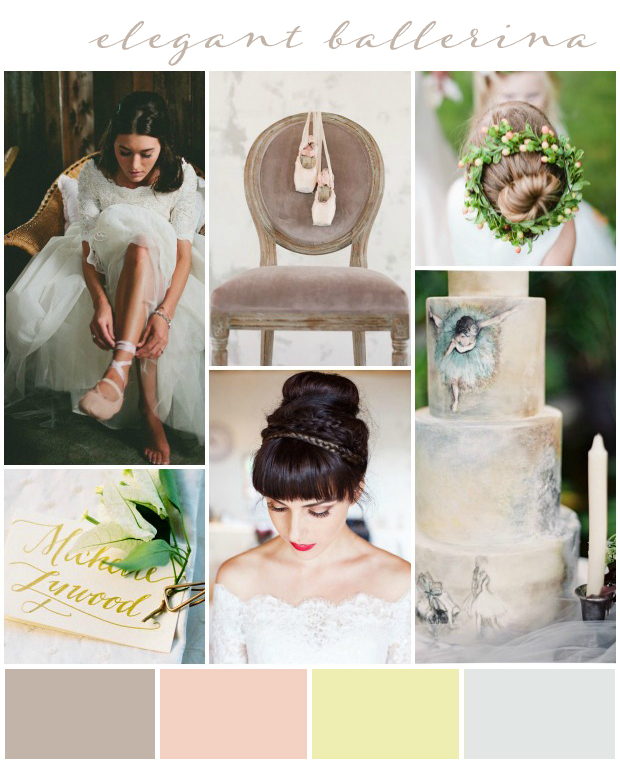 Washed out hues look super sophisticated and give your theme a grown up, chic and stylish vibe. 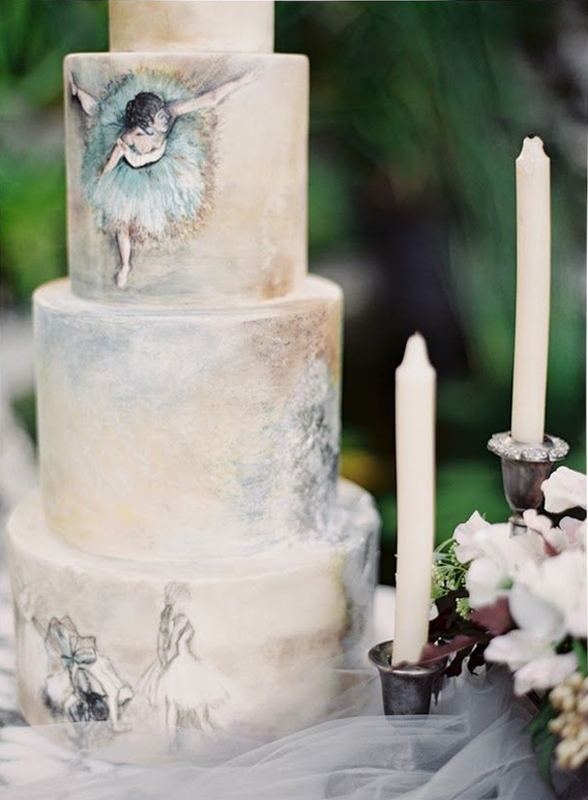 Take your love for the dance and transfer it into the details… like this stunning, ballerina illustrated wedding cake. 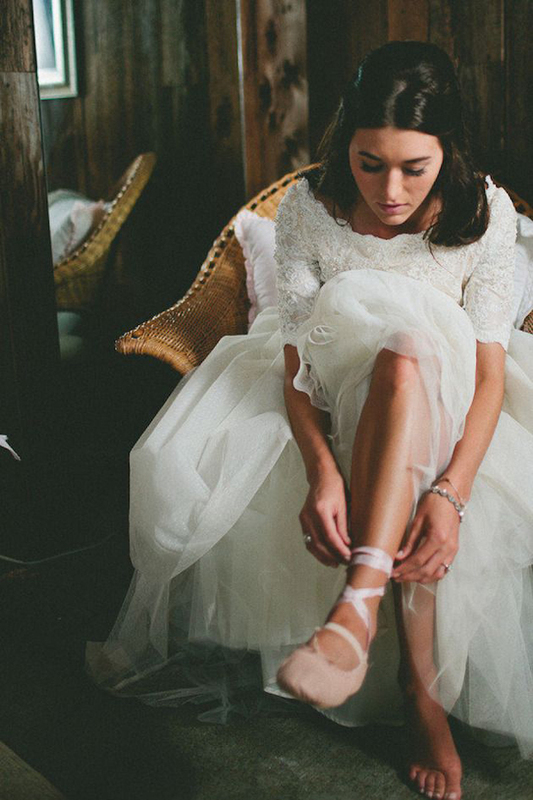 And of course, a pretty pair of ballet shoes would make the most beautiful pair of wedding flats, wear yours with acres of tulle and the most romantic lace. 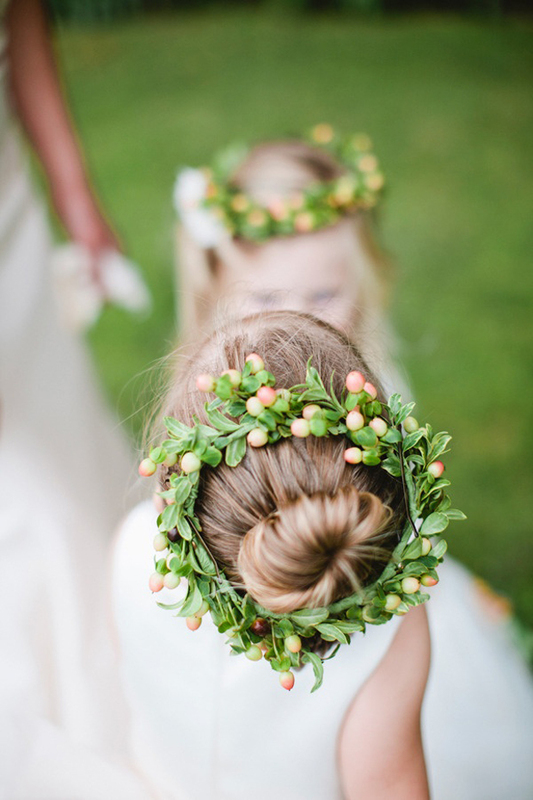 I absolutely adore this ballerina wedding inspo and just love the thought of an utterly chic ballet bun with a slick of red lipstick and perhaps a cute and cozy cashmere sweater or cardie over romantic tulle.. Yesterday I shared a wonderful interview with WTW sponsor Susanne of Gadegaard Design. Susanne designs stunning headpieces for brides and so I got stuck in and asked her lots of questions about her inspirations and loves, it’s a fabulous insight into the designers life so please do check it out! Elite Island Bridal Blogathon: What the What? In sponsor news, you may have heard that I’m renewing my vows in the Caribbean [thanks Kuoni and Elite Resorts] so I’m currently on the hunt for what I’m going to wear… Very kindly Rock The Frock have offered to loan me a wedding dress, so I’m super eager[and v.v. 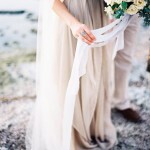 excited] to pop on over to their pretty bridal boutique to find a dream gown. That’s it for this week my loves, I’ll be back again tomorrow with a whole week of wedding ideas and inspiration and will be sharing a stunning art-deco-esq city wedding by The Wardette Studio on Thursday. 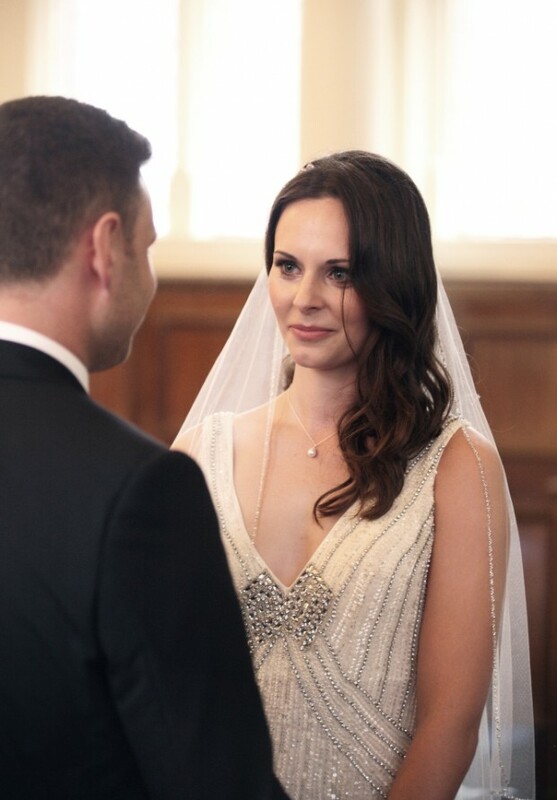 What a stunning bride and the detail on that dress right? See you soon lovelies. Absolutely marvelous!! 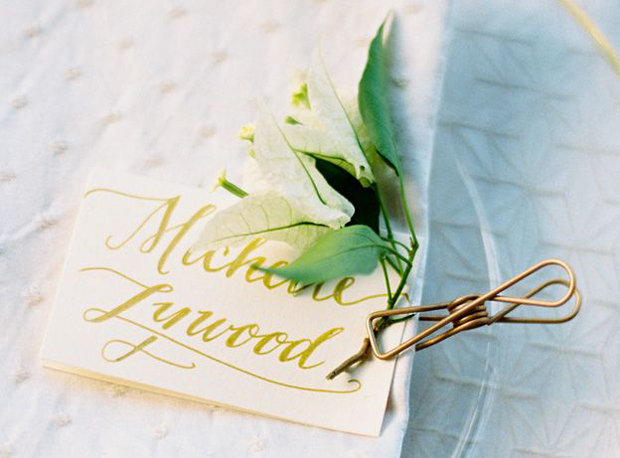 It`s totally classic & elegant wedding inspiration for this wedding season. Thanks for sharing lovely ideas.